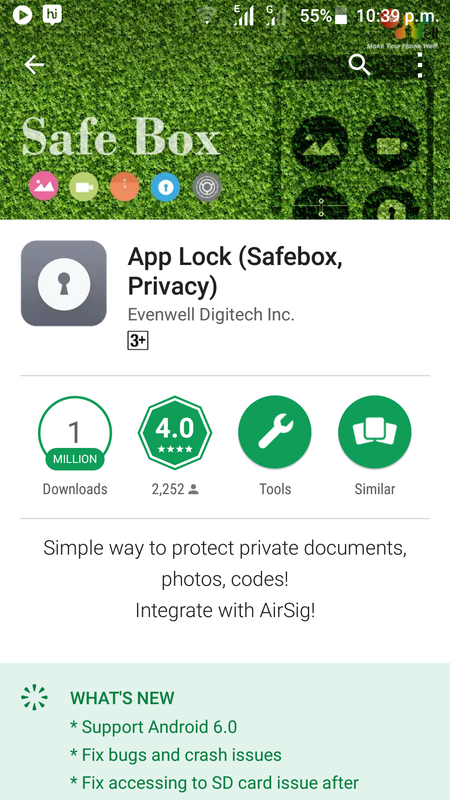 In the previous article, we have seen trouble shooter android application “Safe Box” and hide images in Android device. People installed Safe Box, but they don’t know Safe Box has a FREE Premium Feature of INVISIBLE MODE – Hide Safe Box Icon itself. So, today we are going to discuss step by step process for INVISIBLE MODE of Safe Box icon. First of all, open Safe Box from the launcher. It will show you Password screen. 3. It will redirect you to the homepage of Safe Box. 4. Click on options. It will show you a menu as shown in below image. 9. Change new code according to your choice and click OK button. 10. Now exit from Safe Box. 13. Make a call that code and it will redirect to Safe Box. 14. For the easy visible mode of Safe Box click on Settings (step-5) and unselect check box of Hide icon. Now you can see Safe Box icon in the launcher. After reading this article, you can easily hide your Safe Box from the launcher. Now you don’t have to worry of any images, apps, videos, files being exposed to anyone by accident. I hope you like this article. Share your reviews. Happy Learning !! i forgot the code……what shall i do now?? Please click on forgot password button on home screen., SafeBox system will send you password details. Let me know if you have any other difficulty. i have one more problem……. as soon as i connect my mobile to pc using usb cable…auto touch starts working and messes up with my mobile……….can u provide me with a solution for this?? I accidentally set the app to invisible mode and didn’t realize there was a code to open the app. What do I do please help me! Don’t worry your data will remain safe. Restart device once and try to dial your secret code to open that app. If it didn’t work, do reinstall that app from Google play, it will revert your password. Data will remain as it is. Also do send us your device details, so our team can find proper issue and solution for that. If you haven’t tried this application, try once, its totally free. No inapp purchase. Why app is not showing invisible mode settings? I am using Lenovo K3 note but safe box app is not showing hide option. tell me how to hide this app and open from dialer also. I am using vivo v7 but safe box app is not showing hide option.